I. Did you know that used motor oil never wears out? It just gets dirty and can be recycled, cleaned, and used again. Recycling used motor oil conserves a natural resource (oil) and is good for the environment too! Motor oil poured onto the ground or into storm drains, or tossed into trash cans (even in a sealed container) can contaminate and pollute the soil, groundwater, streams, and rivers. 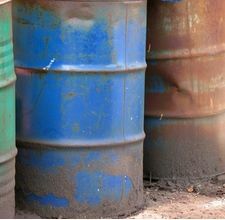 Recycling your used motor oil reduces this pollution threat. When you take your used oil to recycle, you are protecting the environment, conserving a valuable resource, and saving cost for it. That’s a winning combination! Through many years hard effort, we developed with success the LYE series engine oil recycling and discolourization system, which is a breakthrough in oil depolarization a worldwide difficulty. This system can remove the tiny impurity dispersed in oil such as carbon particles and deep oxides, as well as bad substance such as colloid and bitumen. Thus, the clarity of oil is recovered, engine oil quality improved, performance of engine restored, abrasion reduced, these would ensure correct operation of lubricant system of a engine and extend the life time of engine oil and engine as well. 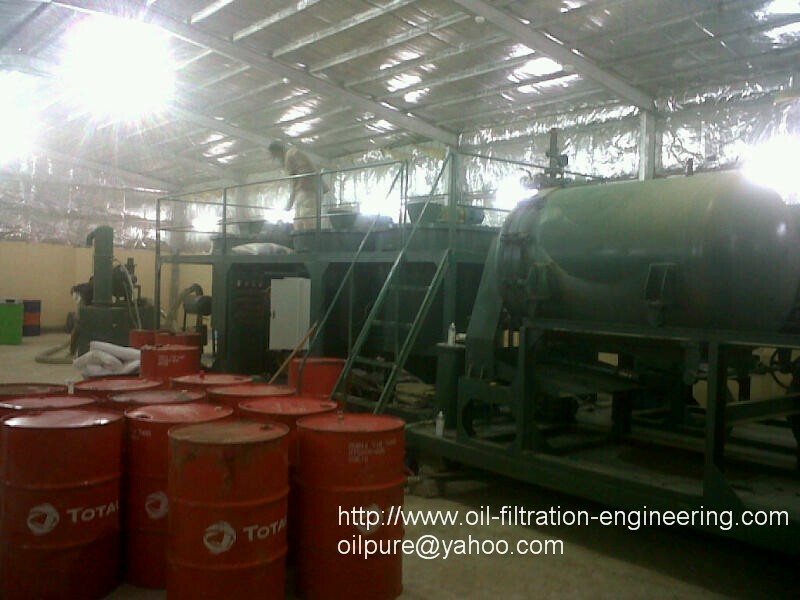 This kind of oil recycling system is applicable to purification & regeneration of various mineral engine oils used in transport facilities such as ships, trucks, cars and other vehicles. LYE used engine oil recycling system is particularly used in such industry as mines,metallurgy,electric power, transportation, mechanical manufacture in which lubrication oil like hydraulic oil,engine oil,coolineg oil etc are used. Gas engine oil used in the field of transportation like shipping,land-carriage etc.also can be treated with regeneration by LYE series machines. 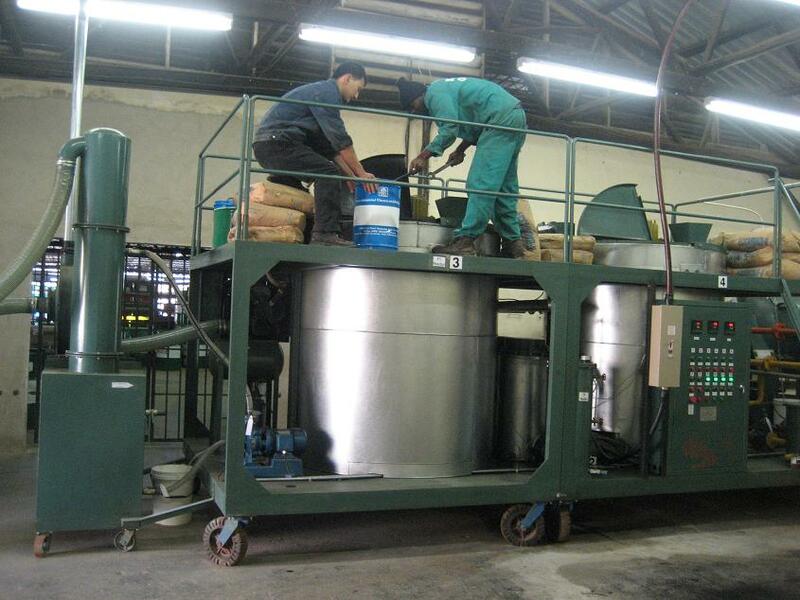 LYE series oil recycling systems can effectively recycle various mineral type used egine oils, motor oils, etc.. It not only removes the impurities, water, and acid matter, organic and inorganic acid effectively, but also can remove carbon particulate matter and peroxides. In gas engine oil, bitumen and colloid and other sludge can be removed similarly. 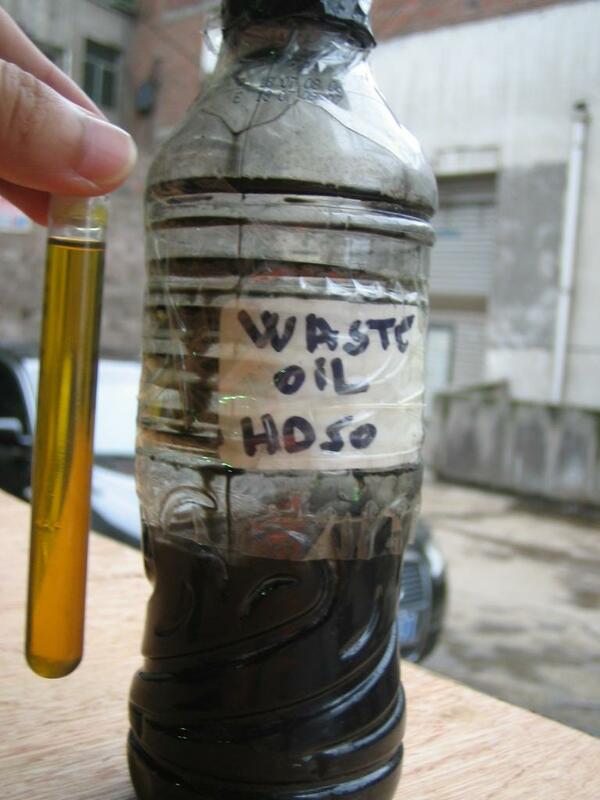 After treatment by the machines, the color of the treated oil is recovered and the quality indexes are improved too so as to resume the performance of gas engine oil, to keep the engine in good lubricating conditions, to guarantee lubricating system of gas engine to work properly and to prolong the service life of gas engine and oil, finally, to economize expense on oil purchasing and save oil resource. 1. Adopting high-precision stainless steel filtering system with excellent mechanical intensity and long service life, which is corrosion-resistant and high-temperature-resistant, it can intensively remove particulate matters from waste oil. 2. Effectively removing water and harmful gas from the waste oil. 4. Simple operation, safe and reliable. 5. As for the mixed gas which is pumped by vacuum pump, through some methods such as exhaust treatment, rundle cooling, condensation, purification, filtration to reinforce the efficient output power of the machine, prolong the service life of vacuum pump largely. It not only protects the vacuum pump, but also makes the discharge gas clean and accord with environmental requirements. 6. This system adopts advanced indefinite oil temperature control device, which can set the top and bottom oil temperature discretionarily to avoid frequent motions of beating AC contract and prolong the service life of AC contract. 7. This plant is equipped with integrated protection devices. Through each executive component, it can realize overall self-protection to the temperature, pressure, vaccum level, ultra-pressure etc.